Home > Vintage Feminine > Celebration / Would You Care To Dance? 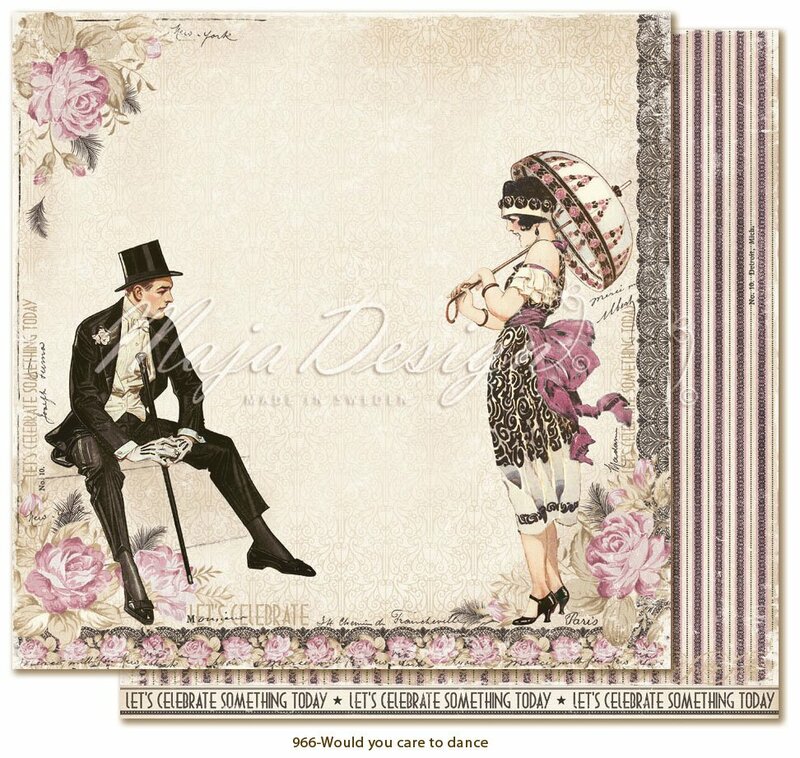 This 12x12 double sided paper has a Vintage Couple on the front side while the reverse side has Decorative Stripes. Look for other Coordinating Images, Ephemera and Designer Papers. Celebration Collection by Maja Designs that are imported from Sweden.